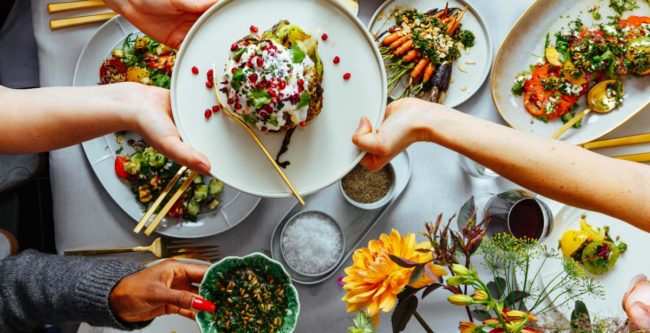 I’ve teamed up with the brilliant girls behind NOT PLANT BASED to bring you a delicious and honest social supper club. One of life’s greatest pleasures is finding happiness and contentment through good food, so let me and the NOT PLANT BASED team take the lead with a super fresh supper to help remove stigmas around disordered eating. Delicious food needn’t be boring so let’s raise a glass of lemon-less tap water and open the gateway to removing fears around food and start honouring your physical and mental wellbeing. Known for our sell out supper clubs, enjoy a fresh, seasonal and DELICIOUS dinner at Social Pantry Cafe served without judgement but with bags of style. Whether you end up dancing on the table or just enjoying what’s on offer, we’ll make sure you have a great evening to remember! So what are you waiting for? Pull up a pew and join the table. Tickets available here.